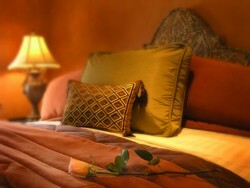 There is no better way to market your inn than with a Platinum Listing on iLoveInns.com. Your detailed Platinum Listing will bring you guests throughout the year and make your inn stand out from the rest! Best search return positioning. Gain more guests when you show up highest on the iLoveInns search engine. Reveal the beauty of your inn with 10 photos and detailed room descriptions. Share what makes your inn and surrounding area amazing within your “innkeeper commentary” section.